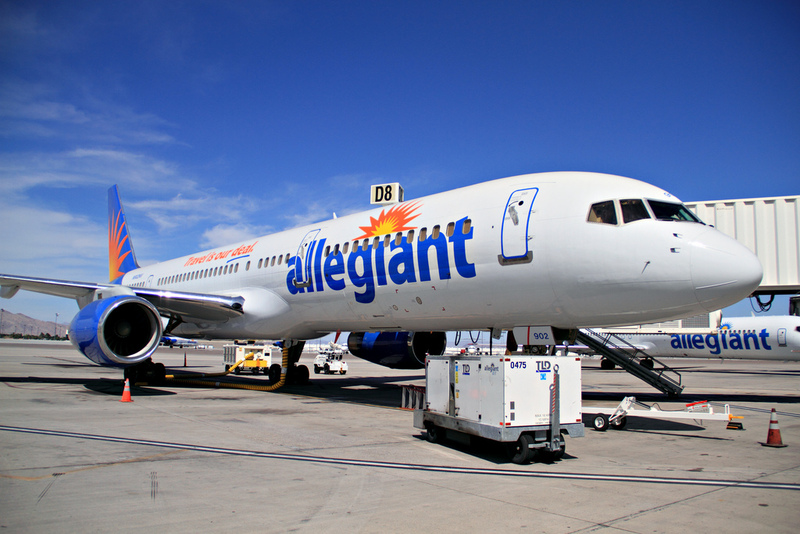 Allegiant Air is an American airline that operates scheduled and chartered flights. The headquarters are located in Enterprise, Nevada and was founded in 1997 originally under the name WestJet Express. Allegiant Air targets smaller cities with limited passenger airline services and focuses on leisure travelers who may be traveling from colder climates to warmer ones. The airline offers a lower frequency of flights and tends to carry fewer business class passengers. Pets are accepted on flights in the passenger cabin. All pets must be in an FAA approved carrier that fits under the seat. Passengers traveling with pets will not be seated in exit rows or one row before or after the exit row. You must register your pet in advance of your flight by contacting Allegiant Air. To book a reservation with a pet, please call 702-505-8888 and tell the agent that you are traveling with your pet. Health certification is not necessary for pets traveling in the cabin. My wife and I recently traveled with Allegiant. In the future, we plan on travelling with you again, and we may also bring along our dog. I see the requirements to bring a dog on board. However, on several occasions I noticed dogs being taken on and from the ship on leash and not in a carrier. If not in a carrier, are there any special requirements or limitations? I am bringing my dog, a Yorkie , 10 lbs in the cabin for the first time. She is my Emotional support . I am worried there will be an issue from all i have read lately. I have a doctor’s note. I will also bring carrier but i need to pet her so i stay calm. Also, is she considered my free carryon if I am bringing her in the cabin? Or can i bring a free backpack? Does need a heath certificate? If so, when does it have to be dated? What happens if you dont like my doctor’s note? She has with me. I am a senior. Will i be tsa pre ck even with her? My wife and I have already confirmed booking with stated PET IN CABIN on our confirmation paperwork. Flight leaves Sanford-Orlando, May 4 on to Kansas City and returns Monday, May 7th. Do I still need to contact 702-505-8888 as when I call I am forever on hold. I have been trying to call 702-505-8888 and am continuing to be on hold for 3 days now. All I am trying to do is add a pet to my flight thank you. My flight is in 2 days. I am buying a puppy in Pennsylvania and flying to Florida 2 days later. She will not have all her shots by then, just the ones from the breeder. Can I still bring her?